Software visionary regains title as the world's richest man despite losing $18 billion in the past 12 months. Stepped down from day-to-day duties at Microsoft last summer to devote his talents and riches to the Bill & Melinda Gates Foundation. Organization's assets were $30 billion in January; annual letter lauds endowment manager Michael Larson for limiting last year's losses to 20%. Gates decided to increase donations in 2009 to $3.8 billion, up 15% from 2008. Dedicated to fighting hunger in developing countries, improving education in America's high schools and developing vaccines against malaria, tuberculosis and AIDS. 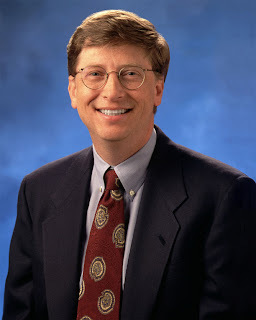 Appointed Microsoft Office veteran Jeffrey Raikes chief executive of Gates Foundation in September. Gates remains Microsoft chairman. Sells shares each quarter, redeploys proceeds via investment vehicle Cascade; more than half of fortune invested outside Microsoft. Stock down 45% in past 12 months. "Creative capitalist" wants companies to match profit making with doing good.